Tenerife is a tropical paradise set in the middle of the Atlantic Ocean with the Trade Winds, known locally as the Allysios, blowing continuously over the North West coast making it one of the top wind surfing destinations in the world- have a cool beer, or glorious meal in Flashpoint, (one of our featured ‘Top 100’ restaurants) whilst the sun goes down over the lingering kite surfers fluttering like brightly coloured butterflies over the water and reluctant to come in. Some of the world’s top surfers will be sitting in the same bar! El Medano is a fabulous resort, more the feel of a ski resort and especially so with its Apre Surf. Wind-surfing, kite- surfing, paddle boarding and surfing are all available. Great value courses to learn and experts abounding everywhere. ​Just around the coast is the sheltered lee of the island, protected from the prevailing wind and arctic currents- warm, calm and home to hundreds if not thousands of whale and dolphins. 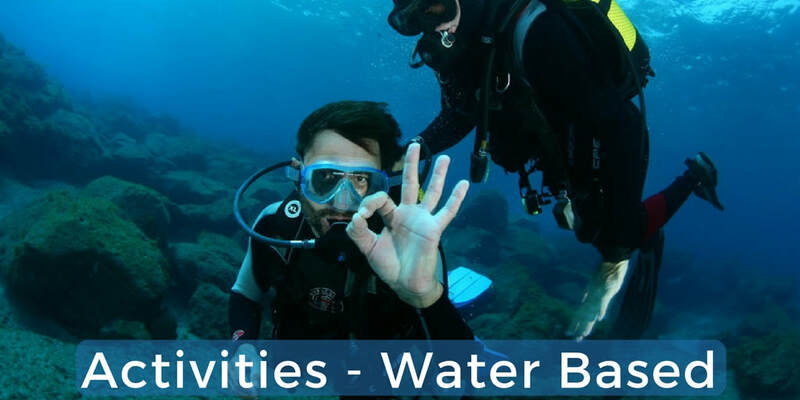 Here are the main tourist resorts and a myriad of high quality water based activities: scuba diving, snorkelling, water ski-ing, kayaking, sailing, power boat (handling course).